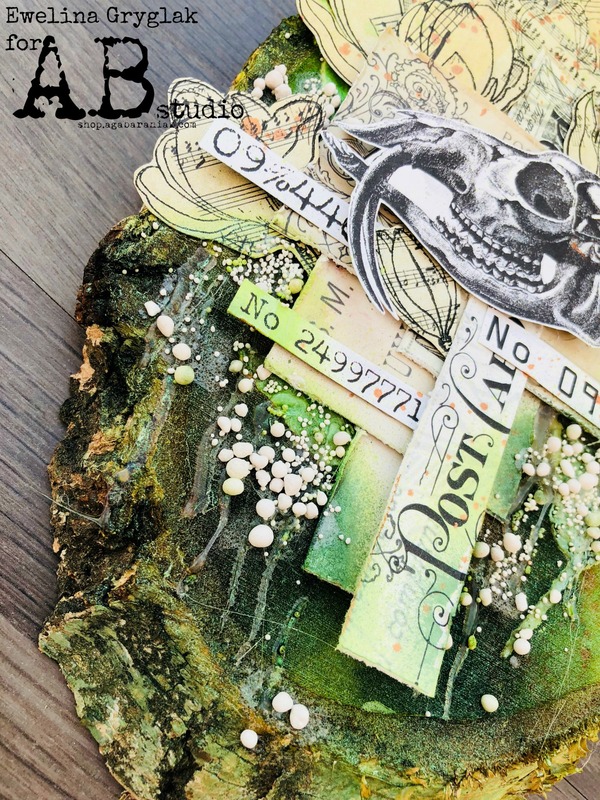 I wanted to play with some AB Studio papers which I have received from Aga Baraniak at the start of summer but never managed to even open the box full of goodies. Let me tell you, quality of these papers is amazing! They are lovely and thick and take wet media like not many others! I used Tattered Angels Glimmer Mists on them and… they work together a dream! As well as papers, I also stamped out some flowers on ‘music note paper’ and cut them out as embellishments + stencilled leafy designs in the background. Some more texture was added by running streaks of hot glue and sprinkling Art Stones randomly over it. 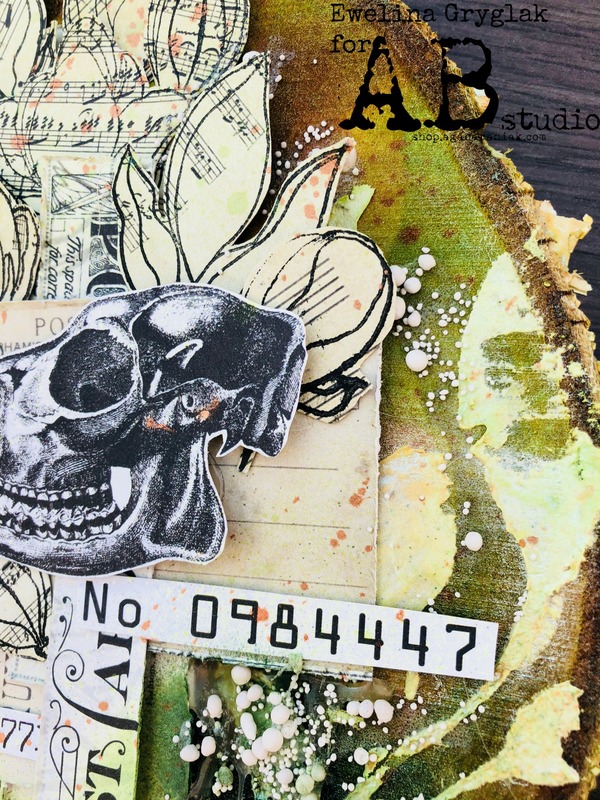 My favourite part of the whole project is definitely the animal skull – it makes the look more masculine and somewhat ‘rough’… Love it!